Social media is great for finding out about and following new trends, but it is quite often a case of ‘hit or miss.’ Nonetheless that doesn’t mean the ‘misses’ won’t take off just as fast or grow any less of a cult following that the ‘hits’. We take a look at what is trending now in the land of social media and as to whether these trends are weird or wonderful, we will let you be the judge of that. Yes you heard right, there is now a manicure available to match your Louboutin shoes (if your lucky enough to own a pair, and if you aren’t then your feet can now live vicariously through your hands) and it is currently the hottest beauty trend on social media. 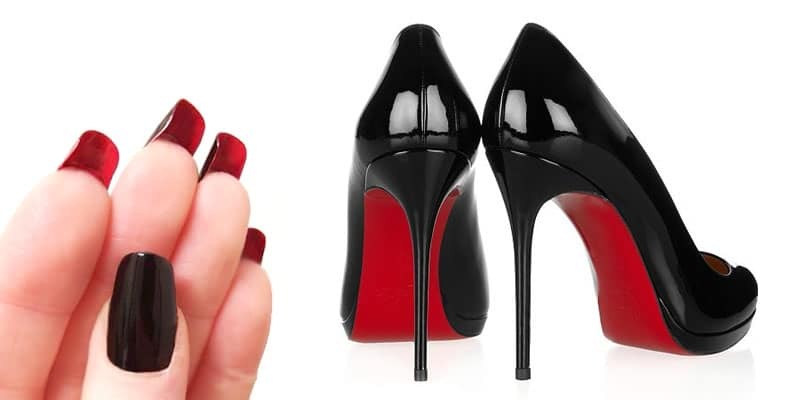 It all came about with the release of Christian Louboutin’s ‘Under Red’ nail polish applicator with allows women to take the red-soled shoe trend to the salon by painting the undersides of their nails red, just like the shoes. The results are being flaunted on social media with the hashtag #LouboutinNails. Matching your pedicure to your manicure has always made sense, but this takes things to a whole new level. Women love to hate their stretch marks but now there is a viral campaign that is helping us to love them. Two Mothers hoping to make a difference in the world of female body image started the Instagram account, which is dedicated to celebrating stretch marks and fighting back against an airbrush culture that wants to hide imperfections. But Love Your Lines has become more than just an Instagram account or a hashtag on social media, it is a global initiative teaching women to proudly embrace the body they are in and all it’s flaws. Gorgeous supermodel Chrissy Teigen is one of the many women who have gotten on board the trend, recently sharing a photo of her ‘stretchies’ on Instagram. This social media trend is promoting positive body image one stretch mark at a time, and for that we thank it. 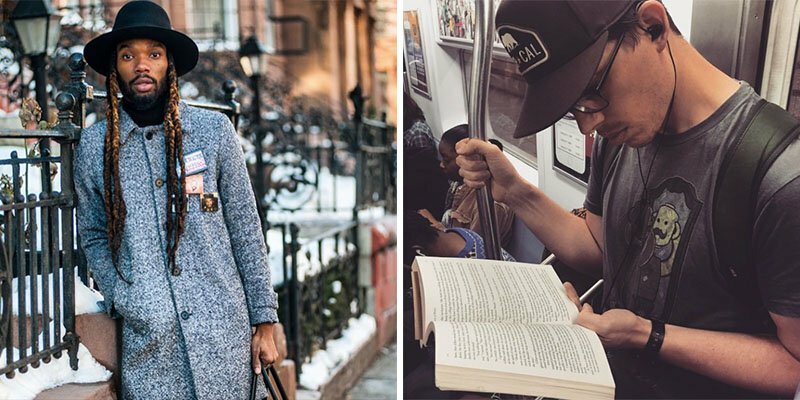 Yahdon Israel is a writer who lives in New York City and has started a social media hashtag aimed at encouraging more people to read. He started off posting photos and videos on his personal Instagram and Twitter accounts of people who were reading (literary) and also looking stylish (swag) whilst doing so, accompanied with the hashtag #LiterarySwag, and it has taken off. Yahdon is attempting to redefine what is ‘cool’ and what people think about reading and says literature and style can definitely coexist. 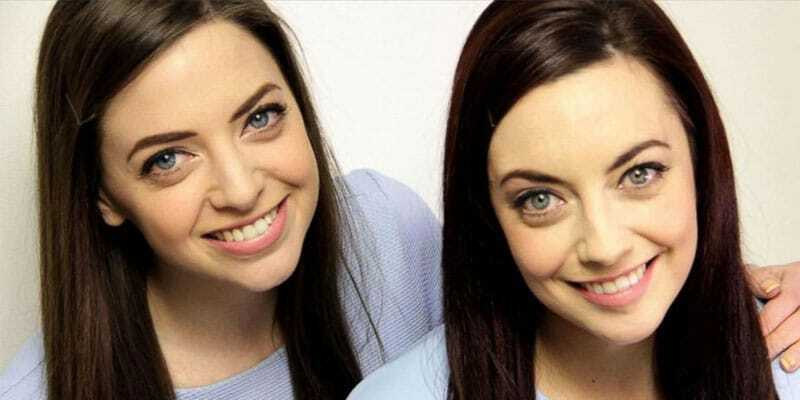 Ever wondered what it would be like having an identical twin? Well now you can find out thanks to a new social media experiment called Twin Strangers. The social media experiment basically matches you to someone in the world who looks exactly like you (or close enough). Three friends became so fascinated with the idea of finding their lookalikes that they launched an online campaign asking the Facebook public to help them in their search. And it was a success in particular for Niamh Geaney, who found her real life doppelganger (both pictured below). Now you can register your details and have your twin matched to you. Say hello to endless hours of fun. Social media feeds seem to be flooded with all sorts of coloured hair of late. 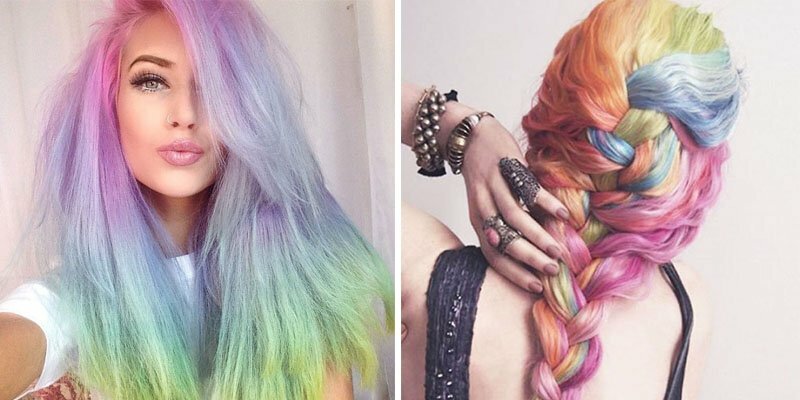 The rainbow hair trend has been around for a while now and it doesn’t look to be going anywhere anytime soon. 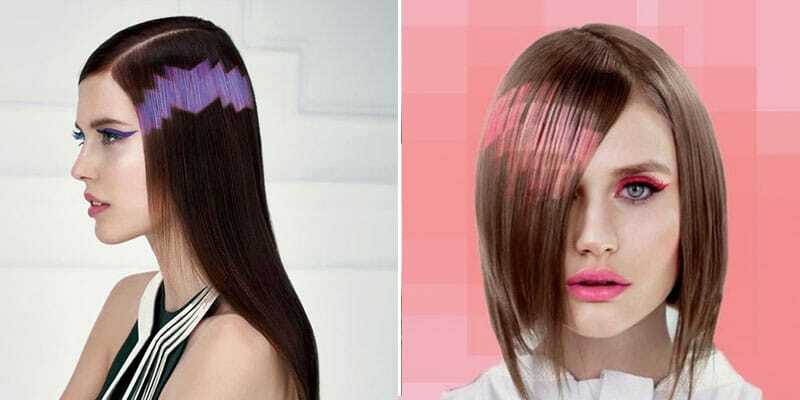 All we can think of is the regrowth and the regular trips to the salon, but it looks so cool it could be totally worth it. Kylie Jenner’s aqua hair reignited interest in the trend of late, but it’s Nicole Richie who has been rocking this trend from day one and remains the Queen of rainbow coloured hair in our eyes, due to being able to pull off what seems like every hue imaginable, #RainbowHair envy. 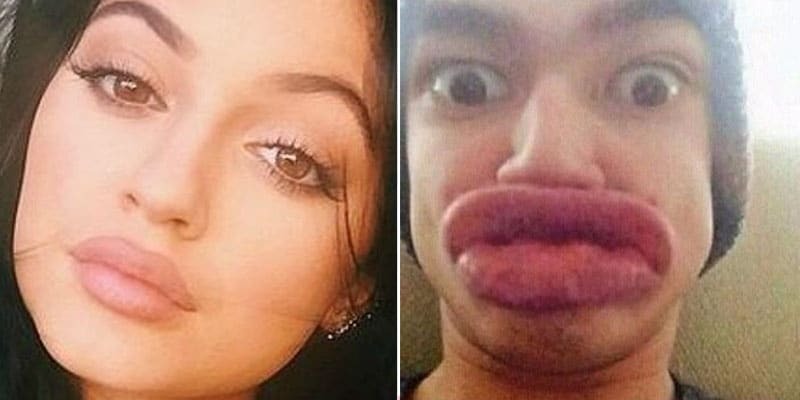 Fans of Kylie Jenner have come up with an extremely outlandish way to emulate the reality stars full lips, which we now know to be surgically enhanced (oh, the benefit of hindsight!). Young women are drastically attempting to imitate the look by placing a shot glass to their lips and sucking out all of the air to create a cupping effect. Finished looks range from plump pouts to bruised, swollen and bleeding wounds. You can see the results for yourself on Instagram #KylieJennerChallenge but one warning, it ain’t pretty! P.S. Have you tried #KylieJennerhallenge using a tube of Pringles? Instagram has suddenly turned into a competition for the best brows, or so it seems, with the hashtag #EyebrowsOnFleek going viral. 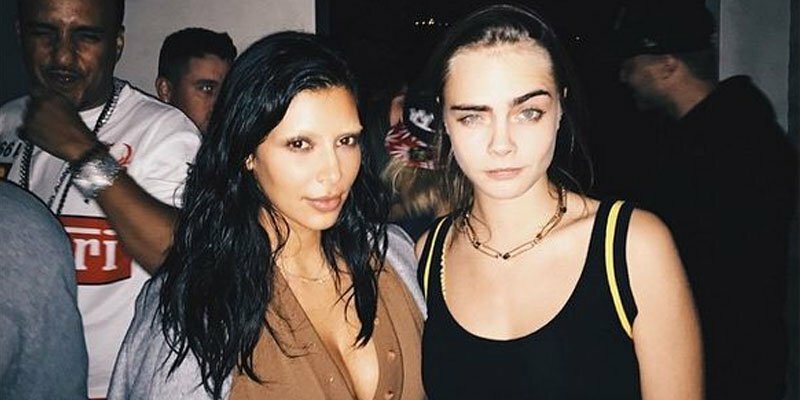 The term basically translates to eyebrows ‘on point’ or ‘to perfection’ and the trend first took off when social media queen Kim Kardashian posted a photo of her bleached brows on Instagram with the caption #EyebrowsOnFleek. And the beauty world has been in overdrive ever since, with celebs and normal citizens alike posting selfies of their perfectly groomed brows. See #BrowGameStrong for it’s hashtag predecessor.